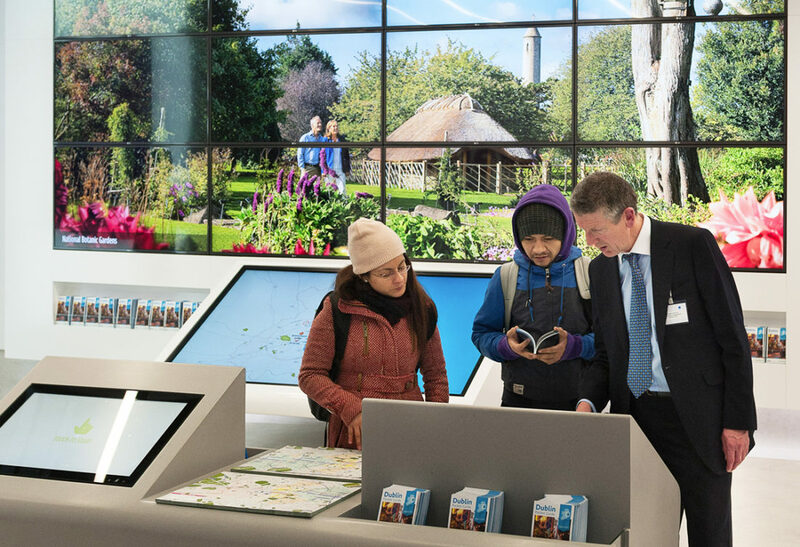 Thought Different designed and programmed all the interactive exhibits in Fáilte Ireland’s ‘Visit Dublin’ tourist information office on Suffolk Street, Dublin. 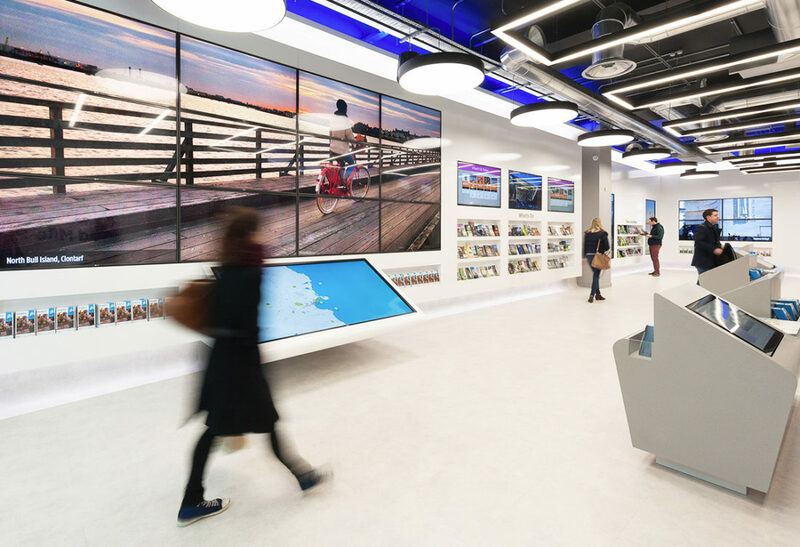 A large video wall shows specially commissioned 30 megapixel images of some of Dublin’s key attractions. The custom made software animates the entire wall at 60 fps processing over 1.4 billion pixels per second. 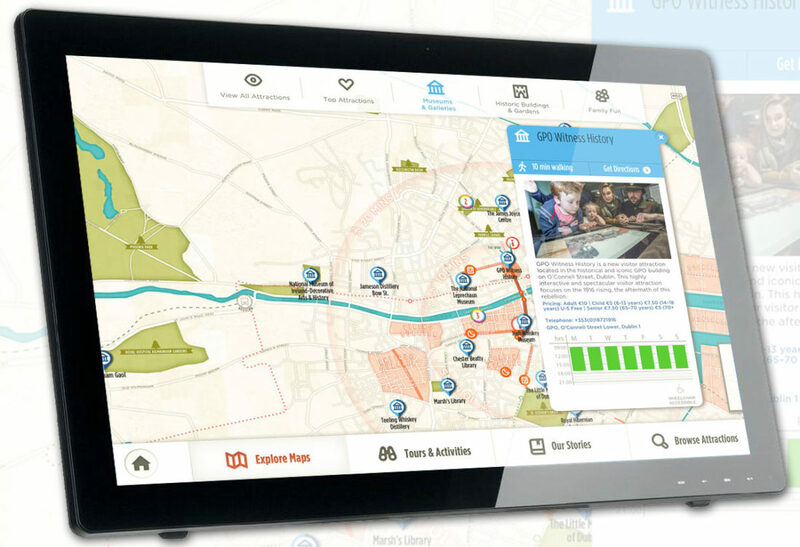 Thought Different designed interactive maps to help the guides show people places of interest across the city. 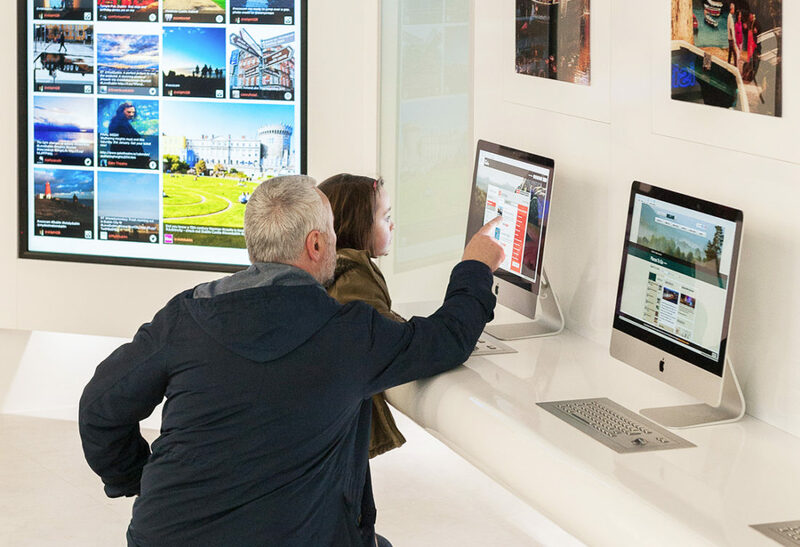 Eight kiosks dotted around the space are filled with up-to-date information which syncs every night with Failte Ireland’s servers. Using the hashtag #lovedublin, software was designed to allow the staff at the main desk check the multiple feeds from Facebook, Twitter and Instagram on a regular basis. They could then approve new posts that would appear on the large 84″ Social Media wall in the centre.